Did you know that there is a way to add external links inside your YouTube videos? What this means to you is that you can now add a real clickable external link to your site directly inside your YouTube video! It's very easy, completely free and completely safe! 1) First and foremost you will need to verify the website (to which you want to link to) using the Google Webmaster Tools. This basically tells Google that you are the owner of the website to which you want to link to from inside your videos. - Now you have a few ways to verify your website ownership. I personally prefer the HTML tag method in which you need to add a meta tag to your site's home page. But you can use any method of your choice because they all work just fine. - Enter the code that YouTube has sent to you by SMS and click Verify. - Your account will be upgraded once you complete this step. - Click on the "Creator's studio" link to open your YouTube dashboard. - Select the Channel menu item from the menu on the left. 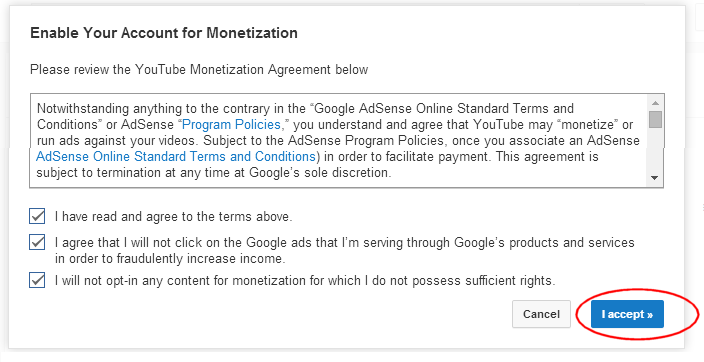 - Enable the Monetization feature (click the Enable button in front of Monetization feature). - You will now see a popup with YouTube TOS, click "I accept"
- Then select all ad formats and click "Monetize"
- If you did everything correctly, your account status should now be showing as "Partner Verified"
Now that your website verified and become a YouTube partner, the last step is to associate your YouTube account with your Website! - Click the "Channels" menu item link from the menu on the left. - Scroll down until you see the "Associated website"
- Enter the same domain (including the "www" part) you have just verified in step #1 and click Add. - If you have done everything correctly, you will now see the "Success" light. - Click on the "Creator's studio" link again to open your YouTube dashboard. - Click on the Video Manager menu item link on the left. - Click the "Edit button" next to any video you wish. - Click the "Add annotation" button and click "Note"
- It is very important the URL contains the same domain (including the "www" part) or this will not work! - Click the Publish button on top of the page. Your External URL is now added to the video! 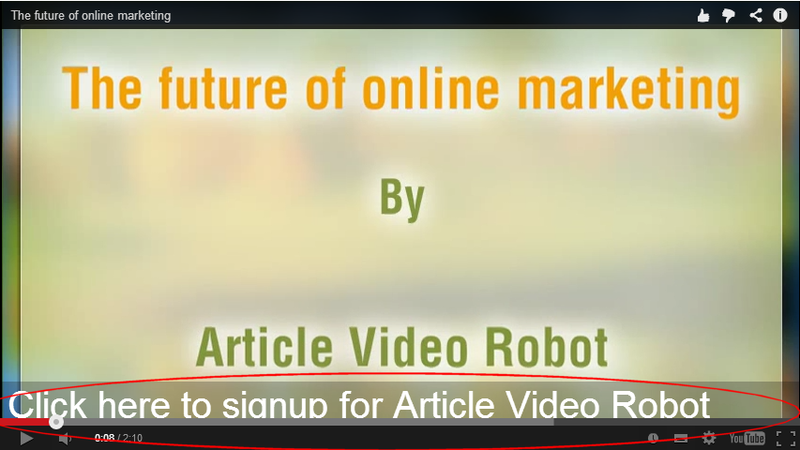 Anyone who clicks on it will be directly sent to your site. Your link will show up in embedded videos also! - Your account must be in Good standing. - Your YouTube account must not be totally "brand new": Your YouTube account must be older than 1 month, should have at least 50 subscribers and a few hundred video views. Search Google for "How To Buy YouTube views / subscribers" if this is the case. - Your account status must be set to "Partner Verified". Please see Step #2 above to learn how to do this. “An excellent idea to explain in detail and with concrete examples an useful setting for a video uploaded on Youtube. Thank you for your work and for all what you have to offer!